In case you missed it this morning, there was an excellent editorial in the Charlotte Observer condemning the last-minute scheme by Republican leaders at the General Assembly to undermine one of the most important and popular provisions of the Affordable Care Act. 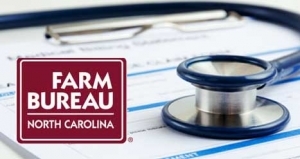 Under the last minute bill, the state Farm Bureau would be empowered to establish new, cheapo insurance plans (featuring no protections for people with preexisting conditions) with which it could cherry pick young and healthy enrollees and leave a sicker risk pool in the individual market, thus destabilizing the insurance market and causing premiums to skyrocket for those in need of comprehensive coverage. “True to form, N.C. Republicans are wasting little time making life more difficult for the vulnerable in our state. This time, that means those among us who have preexisting health conditions — the kind that used to result in high insurance premiums or denial of coverage altogether before the Affordable Care Act made those practices illegal. Protecting Americans with preexisting conditions is one of the most popular elements of Obamacare, but Republicans from Washington to Raleigh are nevertheless doing their best to eliminate such benefits. In Raleigh, the newest effort is a legislative provision that allows for non-profits to offer health benefit plans to its members. Those plans would offer varying degrees of benefits, including some less expensive tiers that don’t cover preexisting conditions…. Supporters of the plans say they’re about offering coverage to people who don’t want or can’t afford pricey Obamacare plans. But Republicans know that nothing happens in a vacuum with health insurance, and the cascade that would result from such plans is clear. Health benefit plans would allow non-profits to pluck young and healthy customers from the ACA, which in turn would force insurers to raise premiums even more to cover the costs of the less healthy folks and elderly who remain on Obamacare.